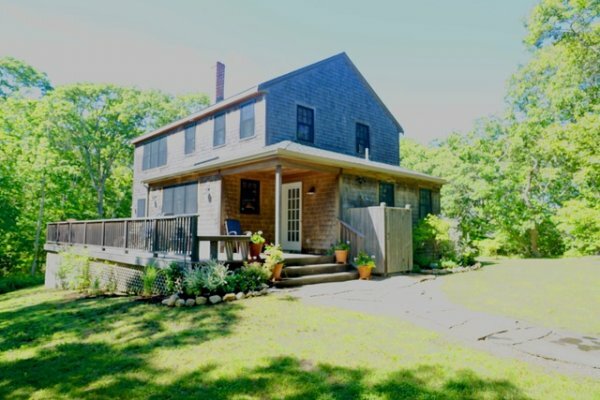 This inviting, beautifully crafted two story home is waiting for you to enjoy a wonderful time in Aquinnah. Gleaming wood floors, artfully tiled bathrooms with lovely fixtures, a generous kitchen to gather with friends and family and prepare delicious meals after a day at the beach, that is an easy walk from the house. On those humid, hot days, there is central airconditioning to make it comfortable. Otherwise the ocean breezes flow through the many large windows and sliders of this lovingly built and wonderfully furnished Summer home. Every detail is thoughtfully provided for you to enjoy the best vacation ever.